"If that nation, concerning which I have spoken, turns from its evil, I will relent of the disaster that I intended to do to it." This is always true of God responding to a people's repentance by turning from judgment. typical deities worshipped in the Near East during the days of Jonah and Nineveh (759 BC). not be manipulated and certainly did not have any needs. "God is not human, that he should lie, not a human being, that he should change his mind. Does he speak and then not act? Does he promise and not fulfill? they are turning away from evil and towards God. Monos meaning "only, alone, without others"
Monogenes then means "only offspring" or "only physical stock." 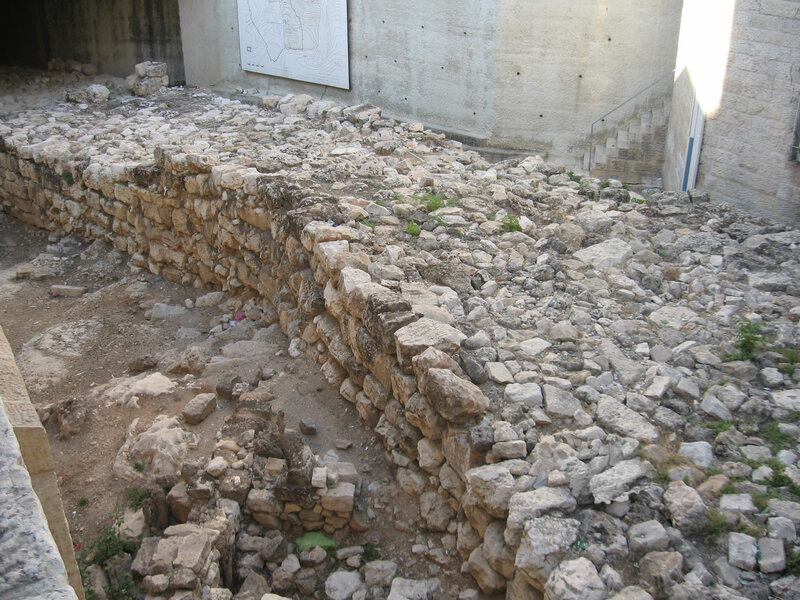 man at the Pool of Bethesda (John 9:1-4) in Jerusalem north of the Temple. Do I recognize God's warnings and discipline? I will make a correction in an area that God has been warning me. "Whoever heeds discipline shows the way to life, but whoever ignores correction leads others astray." 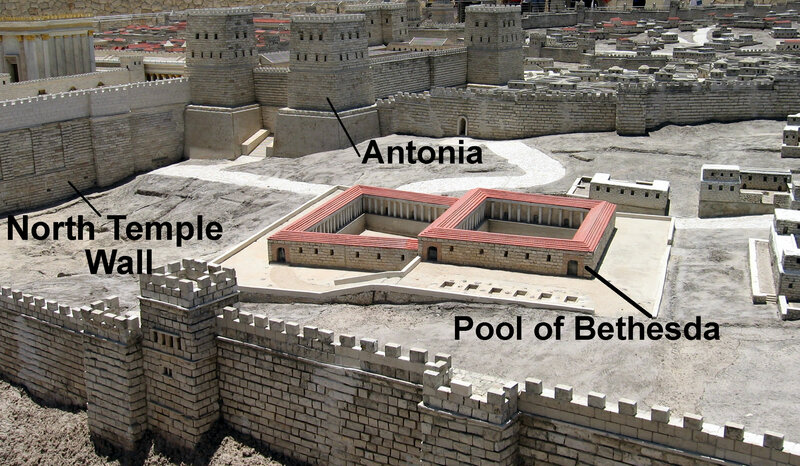 Pool of Bethesda - This is a model of Jerusalem as it appeared in 70 AD. Notice the two pools that made up the Pools of Bethesda. The south and north pools can be seen, along with the five colonnaded porches that surrounded it. Each of the four sides had a colonnaded porch. The fifth colonnaded porch would be the covered dam that separated the two pools.